If you think paying a couple of hundreds for a pair of heels is excessive, wait till you see the most extravagant shoes ever made. From fine leather and platinum satin to precious gems and crystals, these shoes will make your feet shine and feel so pampered. Of particular importance is the iconic shoe designer Stuart Weitzman who created the most opulent and decadent shoes we've seen so far. If you loved watching the Wizard of Oz, then you’ll surely remember Judy Garland’s ruby slippers in the film. 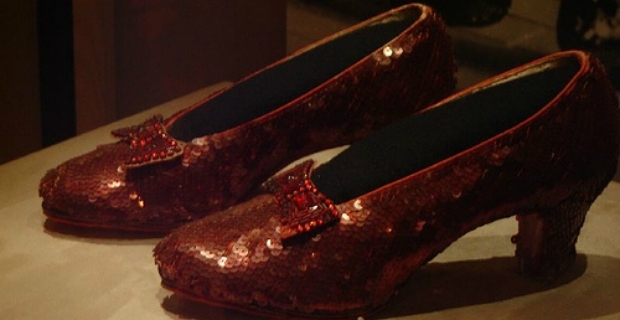 There were four pairs of ruby slippers made for the movie, but one was stolen. A pair was auctioned at Christie’s for $612,000. 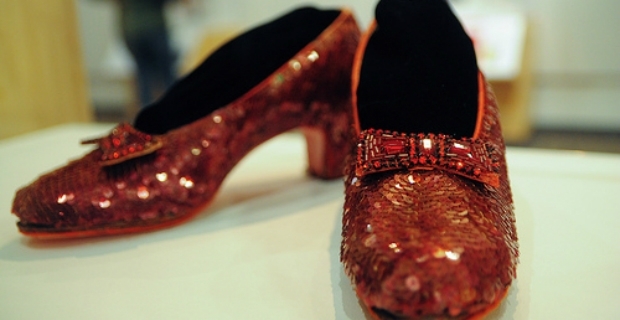 You can still see these sequined ruby slippers on display at the Smithsonian. To celebrate the 50th anniversary of the movie, American jewellers, the House of Harry Winston, recreated the ruby slippers of Dorothy. Only, instead of red sequins, 1350 carats of natural Burmese rubies or 4600 pieces were used. An additional 50 carats of diamonds were added for good measure. How's that for the most extravagant pair of shoes ever made? Another creation of iconic shoe designer Weitzman is the pair of Marilyn Monroe shoes. What made the shoes so special is that the Swarovski crystals on a satin rose were the favourite crystal earrings of the iconic star. The shoes were sold at a charity auction for $1 million. This pair was worn by actress Anika Noni Rose for the 2007 Oscars. Valued at $500,000, these stilettos are embellished with 1420 diamonds spread across two bands at the top of each shoe. "Juno" screenwriter, Diablo Cody, apparently refused to wear these shoes during the Oscar ceremonies in 2008 and we couldn’t understand why. The stylish pumps are adorned with 100 carats of 1800 Kwiat diamonds. It is valued at $1 million. These ravishing stilettos are decorated with 464 diamonds bringing its market value to $1.09 million. The sparklers are removable so they could also be worn as separate jewellery pieces. The result of collaboration between Weitzman and Eddie le Vien, these evening sandals are encrusted with 185 carats of dazzling, blue tanzanites and 28 carats of diamonds. It is valued at $2 million. Inspired by a favourite pair of earrings of Rita Hayworth, these gorgeous shoes are surrounded by rubies, sapphires and diamonds. It is worth $3 million. When you see the price tags of the most extravagant pairs of shoes ever made, paying a thousand pounds for designer footwear might seem like a drop in the bucket. Which is why even the already pricey $50,000 athletic trainers So Cal Air Force 1 Supreme Max from Nike seem so cheap compared to these opulent heels and slippers.